Even though we haven’t quite reached November, smart consumers are already planning out their holiday shopping. According to The NPD Group – a global information company – online shoppers will spend an average of $793 this holiday season, while those who plan to do all their shopping at brick-and-mortar retailers anticipate spending an average of $467. 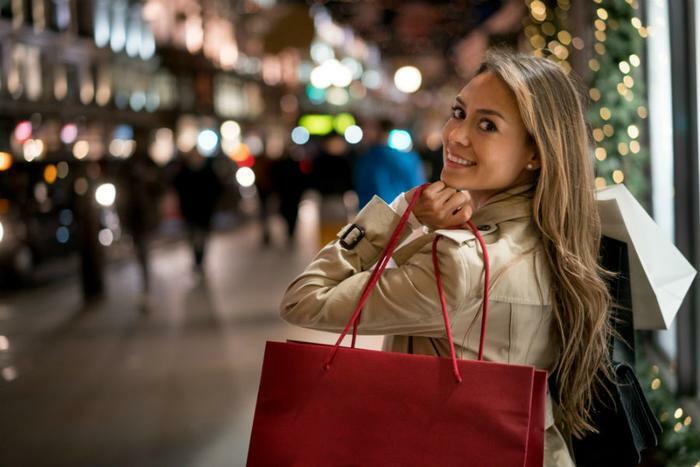 Regardless of where you choose to shop, looking for discounts and sticking to a budget are always advisable–especially if you want to start the new year without holiday debt. Here are eight tips and tricks that can help you avoid paying top dollar for the items on your holiday shopping list. Shop during Cyber Week. According to a recent study, the best time to get the deepest discounts is between Thanksgiving and Cyber Monday. During this period, shoppers can snag gifts for an average of 28 percent off. After Cyber Monday, December 11 is predicted to have the deepest discounts and greatest free shipping availability. Use Amazon’s price comparison app. Avoid the remorse of realizing you could have gotten an item for cheaper online by downloading the Amazon app. This app (available for iOS and Android) lets you pull up the Amazon price of any item you see in a store simply by scanning its barcode. Get the online price in-store. Some retailers will give you the online price for an item if you shop in-store. Check out this list to find out which retailers let you price match their online stores. Set price drop alerts. If your child drops a hint about a toy they would love to have, set a sale alert on the app ShopSavvy (available for iOS and Android) and you’ll get an alert as soon as the price drops. This app can also let you know when there are sales at major stores. Get free shipping on December 15. There are plenty of great deals to be found online, but unfortunately those deals don’t factor in the cost of shipping. However, on December 15 (free shipping day), some merchants will offer free shipping and guaranteed delivery by Christmas Eve. Here’s the full list of participating retailers. Get discounts on gift cards. If you’ll be buying gift cards for anyone on your list, order them online at a cheaper price. GiftCardGranny.com sells gift cards at an average discount of around 12 percent off. Sign up for a free trial of Amazon Prime. If you sign up for a free 30-day trial on November 19, you’ll get free shipping from Black Friday until just before Christmas. Download the Honey app. If you’ll be doing a lot of online shopping this holiday season, consider installing Honey, a browser extension that finds coupons you can use for the websites you browse.